Action for Bevendean Community - ABC, wins £10,000 Heritage Lottery Fund support for local History Project! Action for Bevendean Community has received £10,000 from the Heritage Lottery Fund (HLF) for an exciting project, 'The History of Lower Bevendean Farm', in Lower Bevendean, Brighton. Led by volunteers from the local community, the project focuses on engaging the local community in discovering the history of the land on which the modern housing estate and school now stands. This will include working with 'ESAMP'-'East Sussex Archaeological and Museums Project' to map the site of Bevendean Farm and involve school children in a mini excavation and give them hands on experience of an 'archaeological dig'. They will also take part in some of the local crafts that would have been practiced locally over time. The project intends to create an archive of the area, bringing together photos, documents and memories of Bevendean. This will involve interviewing the older generations who lived in the area when the Farm was still lived in and worked on. Some of the money will be used to train local residents to carry out the interviews. Bevendean was mentioned in the Domesday Book in 1086AD and there will be archive records to discover from that time until now. For 900 years it was a typical Downland farm but for the last 60 years it has been home for 8,000 people. As time goes by, it is becoming increasingly difficult to recognise the agricultural heritage of the land. The Trust for Developing Communities, who work to support local people in less advantaged areas of Brighton and Hove, supported ABC in their application. ABC works with residents from across the generations and supports local community initiatives and projects. Local resident John Horsfield who had the original idea for the project has always wanted to bring the history of Bevendean alive for local people and school children in particular. John says 'this is a very exciting opportunity to create a lasting document and record of our environment and the story that there is to be told about it'. Commenting on the award, John said: 'It's great that we've been awarded this grant and we can't wait to get started. We love where we live and know there is so much more to discover about our past. We're all really excited about telling other people about our findings and sharing our heritage and history with them.' Community Worker, Helen Jones says 'I'm delighted young people will have the opportunity to explore local history in a practical, hands on way. 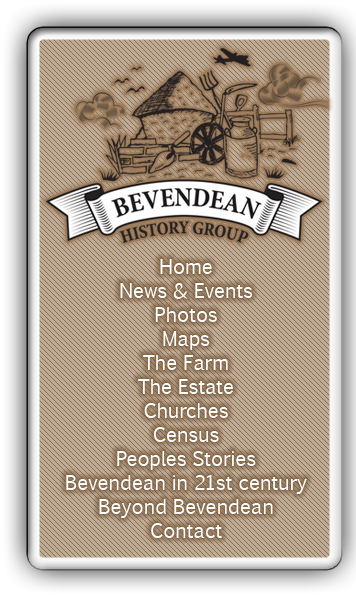 Together with the memories and stories collected from the older generations it will breathe life into the history of Bevendean'. © Bevendean History Project. All rights reserved.